Dating can be expensive. And dating in Hong Kong can be even more expensive. Nonetheless, I love our little dates when we are there. With our trip coming soon, we already plan what to do and where to go. It’s the time we are most relax and we are always in good mood and we can behave like a boyfriend-girlfriend rather than an old married boring couple. Yes, we are pretty boring. 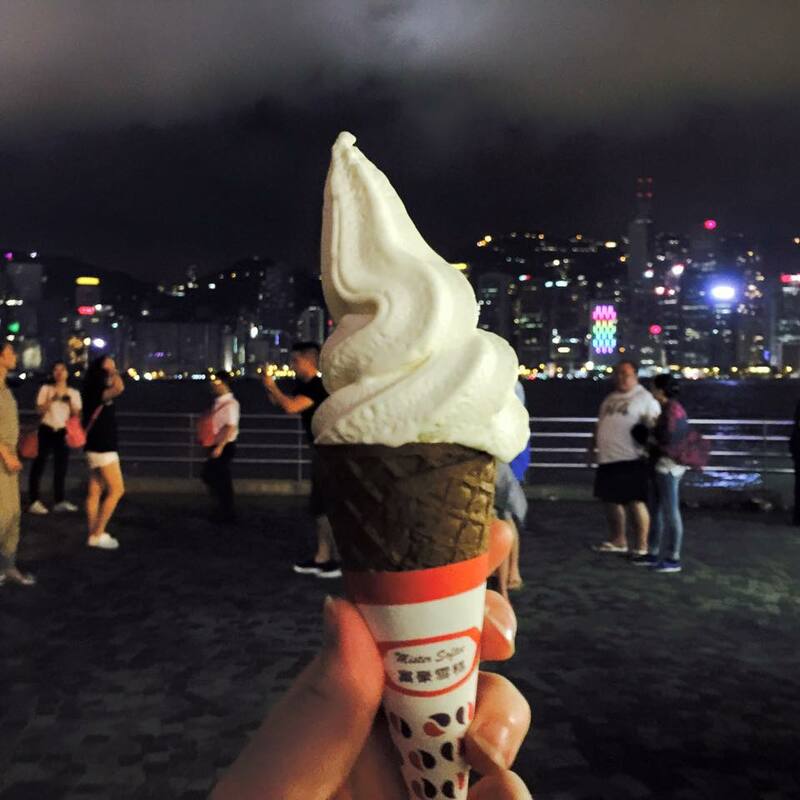 As I kinda have an idea how much damage to your wallet can dating bring, I want to share some of our favorite dating ideas when in Hong Kong! Of course some of them will be more expensive than others, some won’t be your cup of tea, and some of you might have a girl with 公主病 (click click if you want to read my post on this topic!) who will say it’s too cheap for her, but I hope it can be useful to some of you. And you won’t end up like Louis Koo in 戀情告急 (Love on the rocks movie) when he took his girlfriend for all you can eat hot pot on Valentine’s Day. Small edit before you start reading below: I always let Sing read my posts before I publish them and he popped out with ‘I would say night time ride on tram. Less than 3 HKD and free aircon/wind if it’s too hot’. Cannot argue with that. He officially found the cheapest way to take someone out. No wonder his dating life was so miserable. But I still love him. My ultimate favorite, because it’s cheap and SUPER ROMANTIC. What Sing and I do, is we buy those some snacks or head for some late night discounted sushi, take a bus number 15 which will cost you less than 10HKD per person (unless something changed since last year) and head to the Peak. There’s 7/11 in the Peak gallery so we will grab a drink or two there and have our late night dinner there. You could technically eat at one of the restaurants there, but hey! I like it that way! Add a small trip through the harbour on Star Ferry and you have my second favorite thing to do. 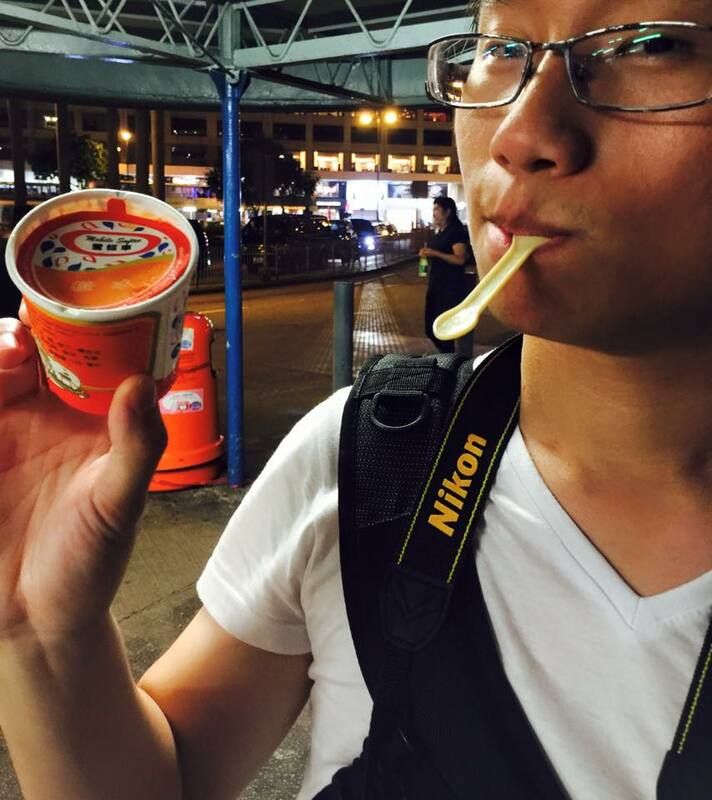 Often at Tsim Sha Tsui you will have local artist street singing cheesy Cantopop songs and classic ice cream trucks 雪糕車. You will recognize them by white-red-blue colours and The Blue Danube music playing. From my knowledge they serve only 4 types of ice cream – vanilla soft ice cream, drumstick, so called ‘lotus cup’ and something that tastes like frozen Fanta or orange juice. They cost only few HKD, a Star Ferry ride is even cheaper (although remember you shouldn’t eat on the ferry itself). If you don’t want to take the short harbour cruise you can walk around the promenade, hold the hand of your loved and watch the beautifully illuminated building. Maybe you can even see The Light Symphony! I love Dragon Centre for multiple reasons: super cheap and tasty snacks like dry sour plums, plenty of cool clothes to choose, heaven for any kawaii-fan, awesome food court with dirty cheap and delicious food and the top floor with ice rink and tons of arcades. I have to admit the area got smaller and the amount of photobooths also decreased, however I still love to come back to Dragon Centre for some good food, have fun with the machines and get some lovely purikura done. 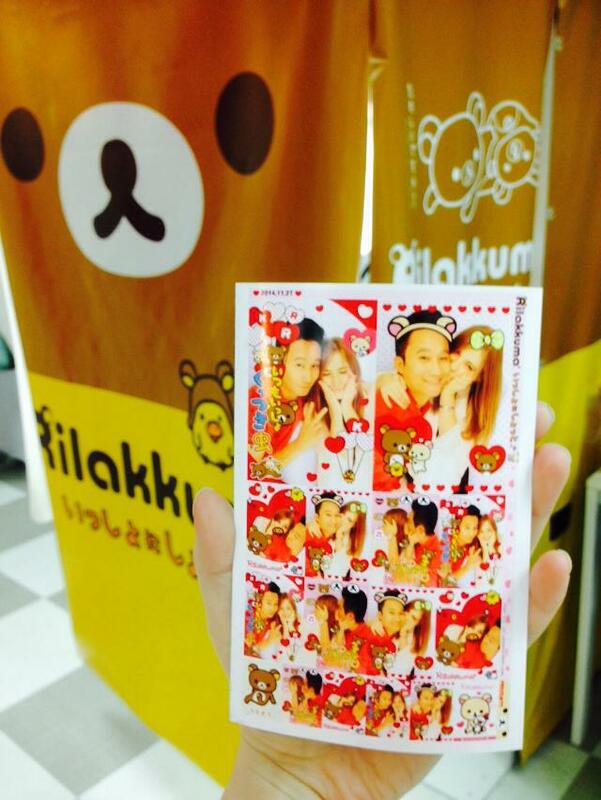 And since that’s the only place I know that has Rilakkuma purikura, I will keep going there. Too cute to miss! 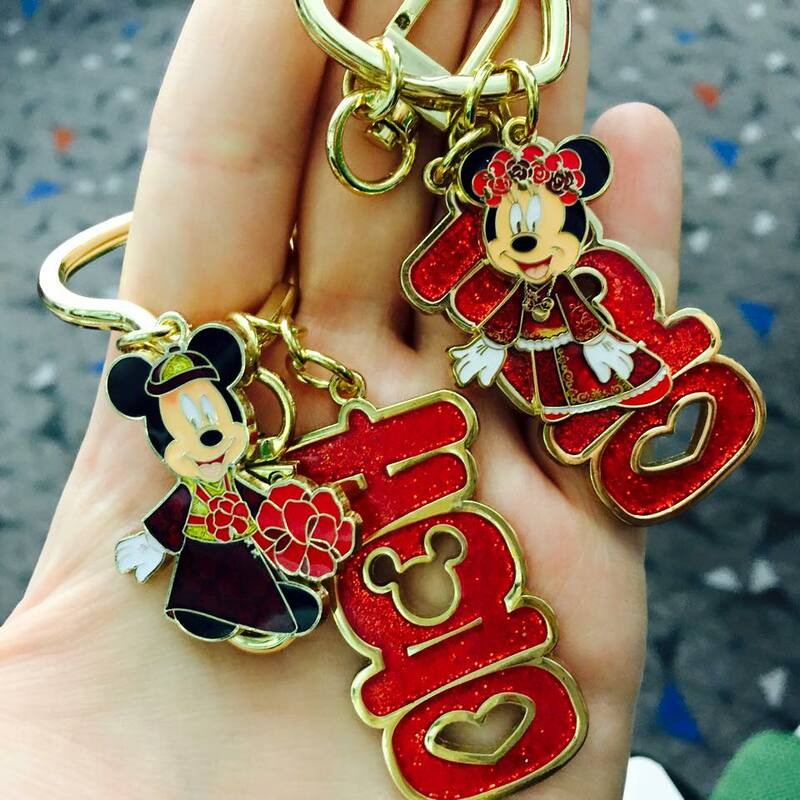 And that memorable souvenir costs you less than 100 HKD! 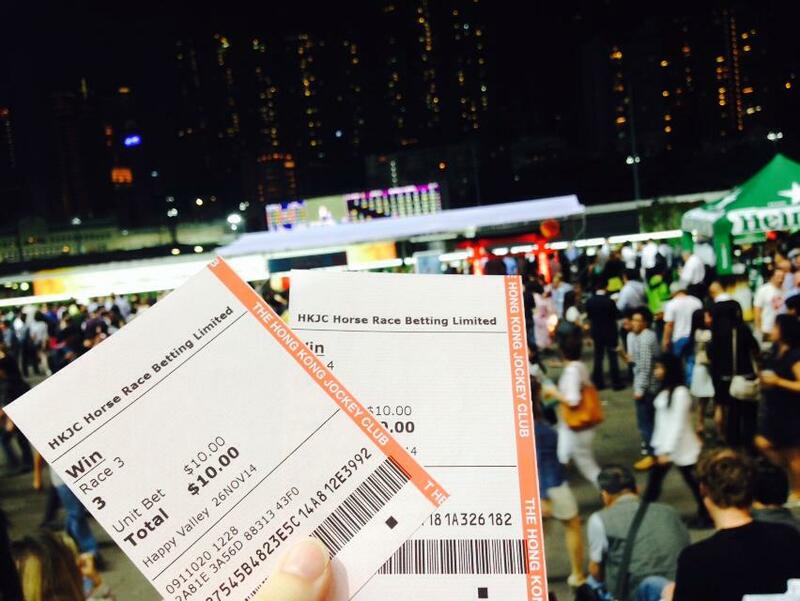 You need to be aware that the horse racing doesn’t take place during summer time, but when the weather gets ‘cooler’ you can take your Octopus card and head to Happy Valley Racecourse. The entry costs as little as 10HKD. Inside besides the experience of horse racing, you may also have a chance to be part of some festival, have a chance to try different food and beer. When we went there all the girls tried on a yukata and take cute pictures. Beer was cheap as well and we had a lot of fun. If only Sing listened to me, we could also win some money, but of course since he didn’t listen. Well, I wish you more luck! The most expensive from all of our ideas, but still cheaper than a night out we had at Spaghetti House. Believe it or not, but we really did spend more money there than during our lovely afternoon tea looking at the harbour. 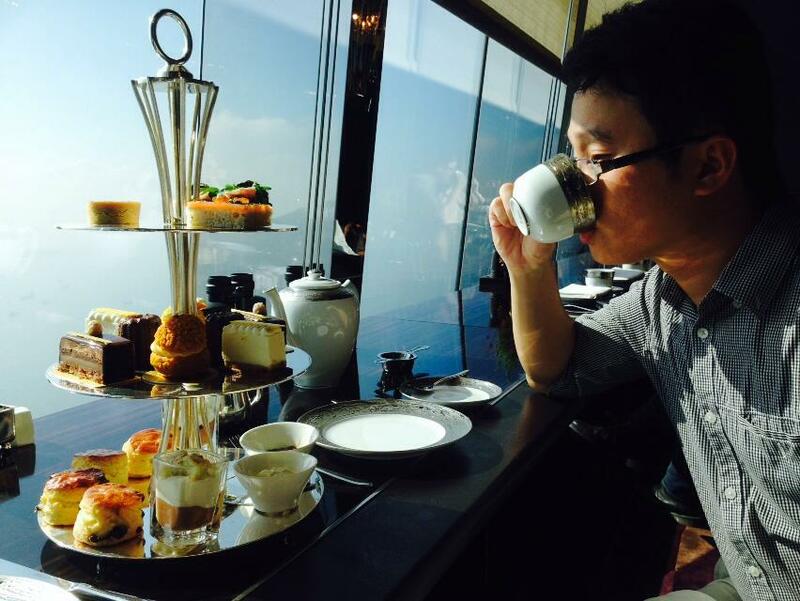 A set of tea for two should cost you less than 600 HKD after adding the 10% service charge. It’s absolutely amazing and you will love everything about this place. 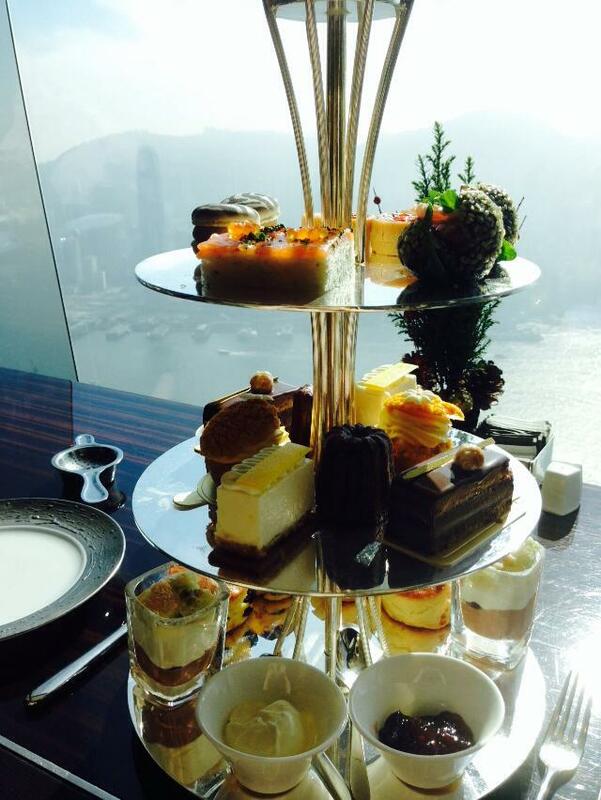 Food, atmosphere, views from 102nd floor, live music. I also love the fact that for such a crowded place like Hong Kong, The Lounge & Bar gives everyone enough space and privacy. That’s really important when you are on a date! At the beginning I felt bit overwhelmed as I’m a very simple girl who likes very simple stuff, but it was nice to feel like a princess once in a while. Perfect place for an anniversary treat! Too bad for our 4th wedding anniversary next Wednesday we won’t be able to have it! These are my top 5 recommendations! I hope some of you can use them and actually, really impress your partner! What is your favorite cheap date? Love to hear your ideas! 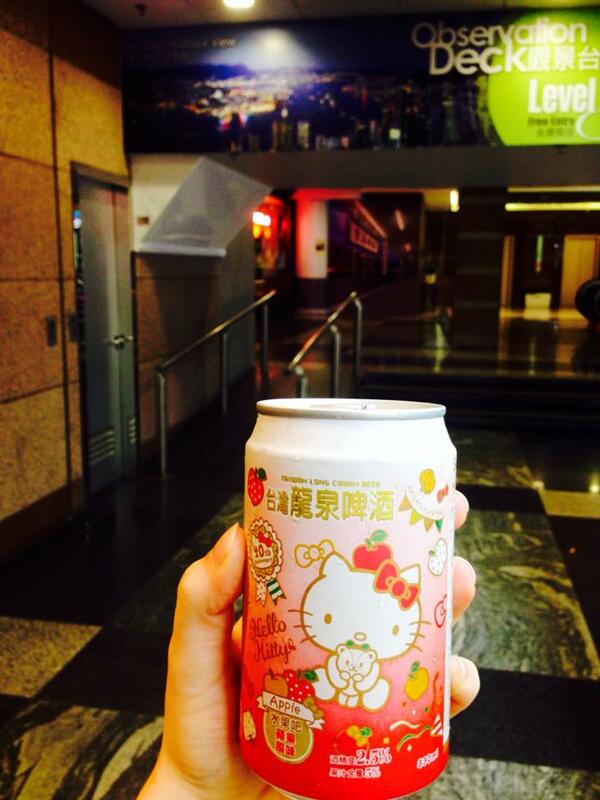 This makes me want to visit Hong Kong now. I can do all these things solo!! So awesome. I’m sure even doing this solo would be awesome! Especially the ice cream part! Even Sing liked the food served so I say go for it! 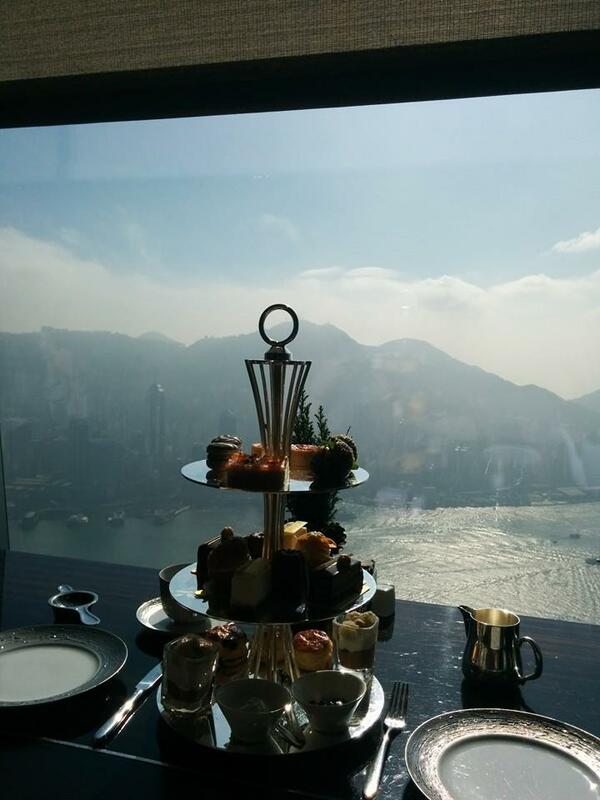 View and the sweets were 冇得頂! 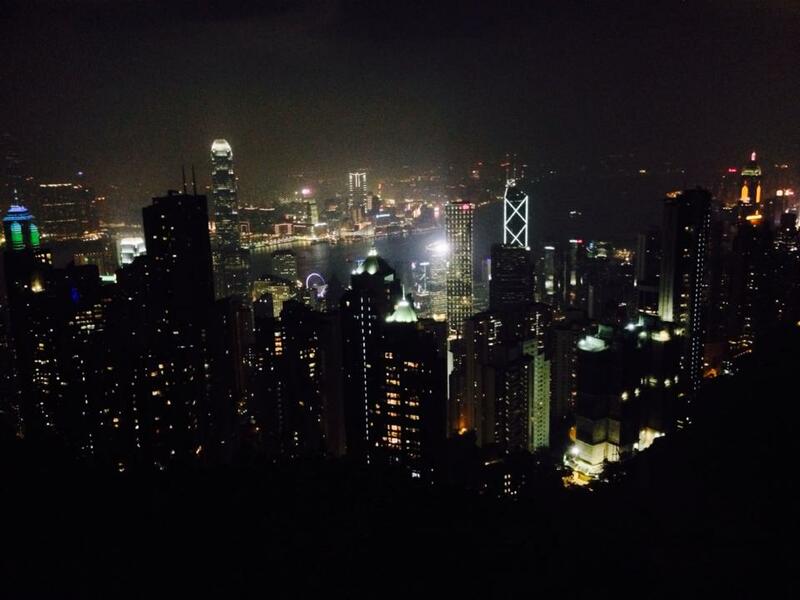 Lots of fun things to do on the cheap in Hong Kong. Riding the tram at night and just taking in the sights and sounds. I also love just walking around and stopping for something to drink. I much prefer these local things than going to LKF! I see you and Sing agree about the team haha 🙂 I’m totally with you about LKF – a lot of people living in expat bubble but that’s just my opinion! That’s my opinion about LKF, too! Why waste time there when there’s so much else to see and do in the city? I always joke to Sing that we already live in a western country so why would I want to eat western food or do western stuff when I’m in HK! Exactly! I feel the same when I go to Hong Kong! I might try some different ones this time but I don’t think any other has such a lovely view! You’re probably right! The view adds that extra oomph! Other ideas… have a picnic on a beach like Repulse Bay or use the BBQs at Deepwater Bay; take the ferry over to Yung Shue Wan for a walk across Lamma (my home island) ending with some seafood in Sok Kwu Wan and a ferry back to Central; get a drink at the Beer Bay stall outside Pier 3 at the Central Ferry Piers and sit on the steps or benches between 3 & 4 and watch the view; try one of Dance With Style HK free Salsa parties with free lessons (I’ve been meaning to go forever and heard it’s really good! ).